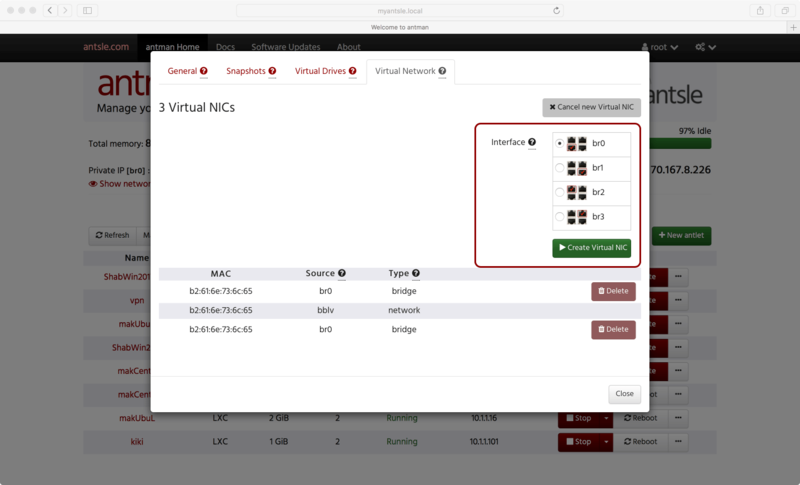 - Click “Create virtual NIC” button. And that’s it! Your antlet will receive an IP from your subnet. You can obtain this IP by logging into your antlet’s operating system. 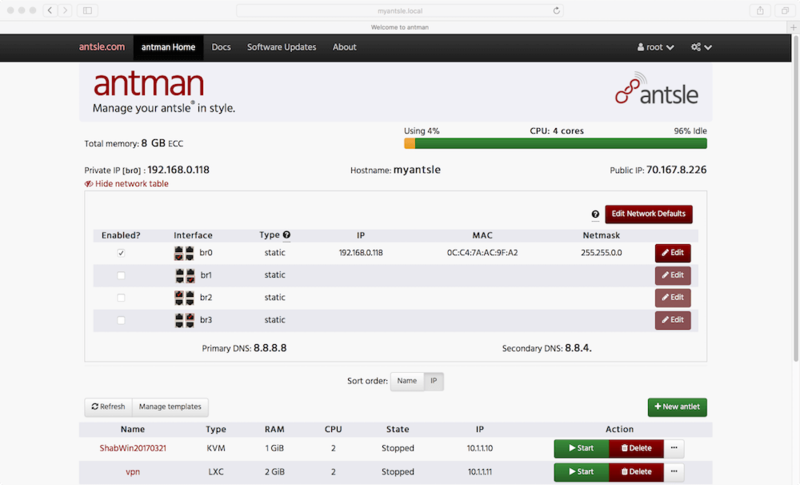 You can now manage your network interfaces from antman! Configure them with static IP or DHCP. Moreover, you can configure your Default DNS and gateway; no need to SSH into your antsle to change such things again! As an added value, if you do change your configuration from antman, you will create a backup with the last working network configuration; in case something goes wrong, your antsle will automatically rollback to that working configuration 30 minutes after you apply the changes by restarting your antsle. We introduced some guides for new users, your first experience will be even better now!